Last weekend, I've been teaching in Amsterdam. As we‘ve been there a couple of times, we know quite some people and places. It feels good to come to a town, where you‘ve already made friends. But it‘s sad to say good-bye. 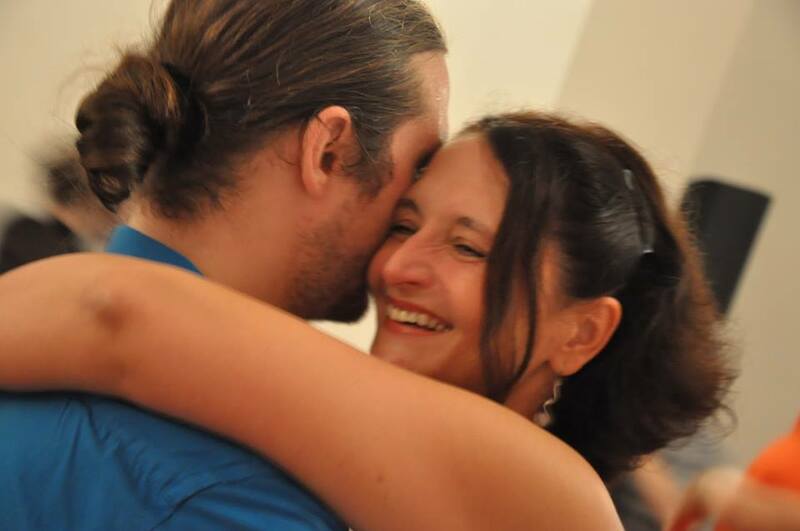 You might know what I‘m talking of, even if you are no travelling teacher: The Tango community has grown into a fast-paced, international crowd. People are travelling to Buenos Aires, Berlin and Rome to visit Milongas, Marathons or Festivals, either as teachers or as consumers/students. And isn‘t it great to make so many friends everywhere? Tango allows us to get to know another person quite intimately in a very short time. The embrace, the sweat, the all night dancing, sharing breakfast in the mornings and yes, all the time we spend in classes, trying to explore a new world. Tango is a challenging dance: it demands that we bring in our whole personality, our body, our soul. You give a lot and you receive a lot. No wonder, that Tangueros get addicted to that kind of nomad life! But are we really making friends? Do we not meet in a kind of bubble, where everything evolves about Tango and where huge parts of our life are blanked? Do you know the name of person you just greeted so enthusiastically? Do you know, if your dance-partner has got siblings, a wife, a husband? Do you know her job and do you know her plans for the future? Do you know, if he sleeps well at night or if he‘s suffering from a disease? Most likely not. Because all we talk about is Tango. We meet, we dance, we chat... and we leave again. Two weeks ago, I heard of the death of a dancer, that I used to meet regularly a couple of years ago. We spend quite some time together but then I stopped going to the Milongas that she frequented. And I forgot about her. Until I got the message of her passing away. Is this an exception? What about yourself? Will your Tango friends remember you, when you stop going to Milongas, because you‘re ill or old or just fed up. Won‘t most of them forget you? When I am going to stop teaching and dancing, people will talk about this for a couple of weeks. Some of them will regret it deeply, I‘m sure. But soon they‘ll forget, because there are so many new people, faces, impressions. It‘s overwhelming. Sure... you do not forget everyone. There are the ones, that you get to know a little better. Maybe you even talk about non-Tango-stuff, get a glimpse into real-life. And you really like that person. You feel that you‘re making a friend. But very soon, you will have to go back to your hometown or to the next gig. If you‘re lucky, you will meet again in a couple of months or next year. And you will start all over again with the getting-to-know process. People change and you cannot keep up with these changes by checking the news on Facebook. And what about your non-tango friends at home? How often do you meet them? You‘re most likely taking classes or going to Milongas during the week and on the weekends there‘s the Festivals... I‘ve heard so many Tangueros complain about the fact, that they‘ve lost most of their „other“ friends“. And that the „friendships“ in Tango remain superficial. Building a friendship takes time and maintaining it as well. Do we still have that time? I try my best. I meet my non-tango friends as often as possible. I try to stay in touch with people, whom I get to know and like during my travels. I try to get to know them better, whilst I‘m with them. But there‘s never enough time before I have to leave again. I try. But there‘s too many good-byes! Do I miss dancing or teaching? No. There's too much other things to do, to read and to think. And as I know that I'll be travelling for the rest of the year without pause, I rather cherish the time at home. It's nice. And I'll be refreshed and newly motivated for work. But, there's a problem: I've got nothing new to write about. Not about Tango anyway. My thoughts are evolving about the definition of modernity in history and literature, about the difference of historicism and historic social sciences, about the long 19th century, the industrial revolution and about Mr. Marx. My head is spinning and I cannot imagine how I can my thoughts in order to pass the exam. I am kinda scared. Sometimes, I really ask myself: Why am I doing this? I do not need another qualification, I do not need another academic title... I am doing it for the sheer pleasure of learning and yet I am condemming myself to years of studying in my rare free time. That's no fun anymore. I must be crazy. Ok. I can live with that.